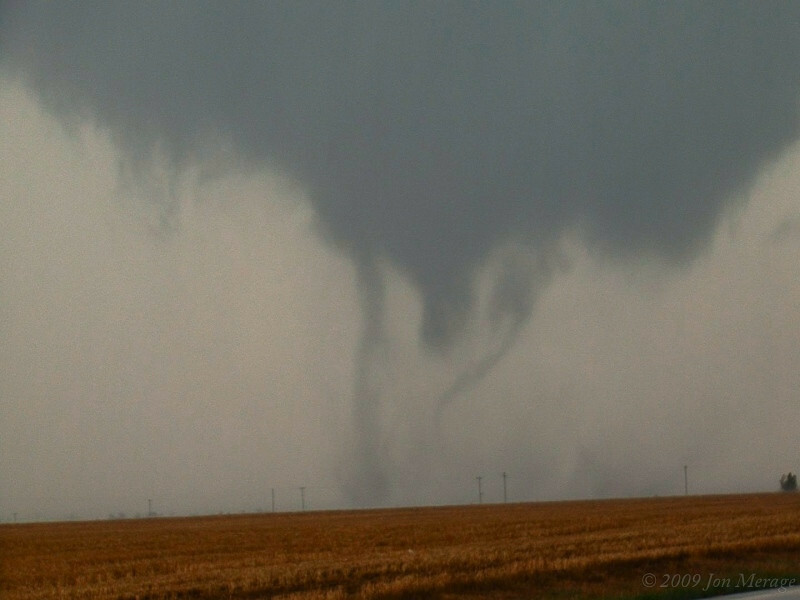 A couple of my favorite pics of the large Hoxie, KS tornado from May 22, ’08. 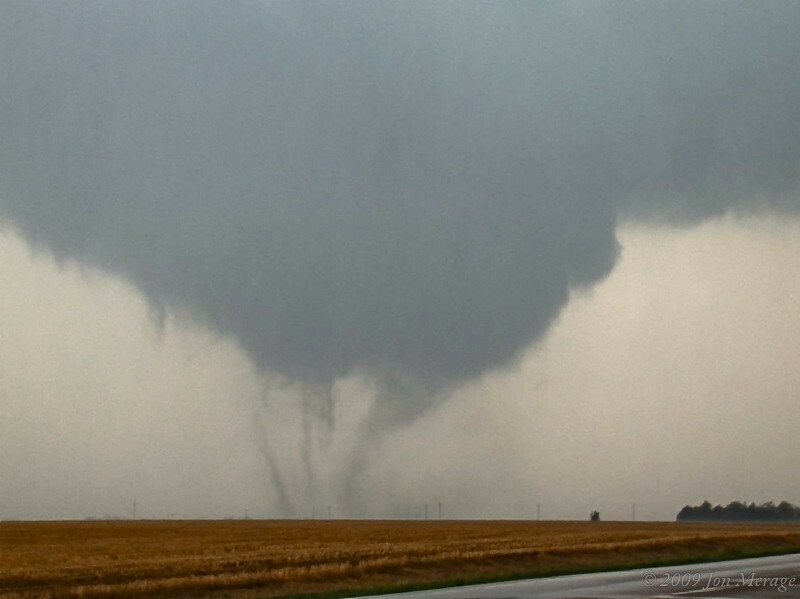 So, assuming winds in the larger tornado were around 150 mph–a very rough estimate, for the sake of argument–this means the total tangential (horizontal circulating) wind speeds could possibly have very briefly reached 250 mph! Of course, even with mobile Doppler scans, determining wind speeds in suction vortices is generally impossible due to their small sizes (especially compared to the larger tornado) and extremely short, transient lifespans. For more pictures, visit my photo gallery.